In honor of the season, we are falling in love with our haute, new Spring 2014 Couture bridal gowns! 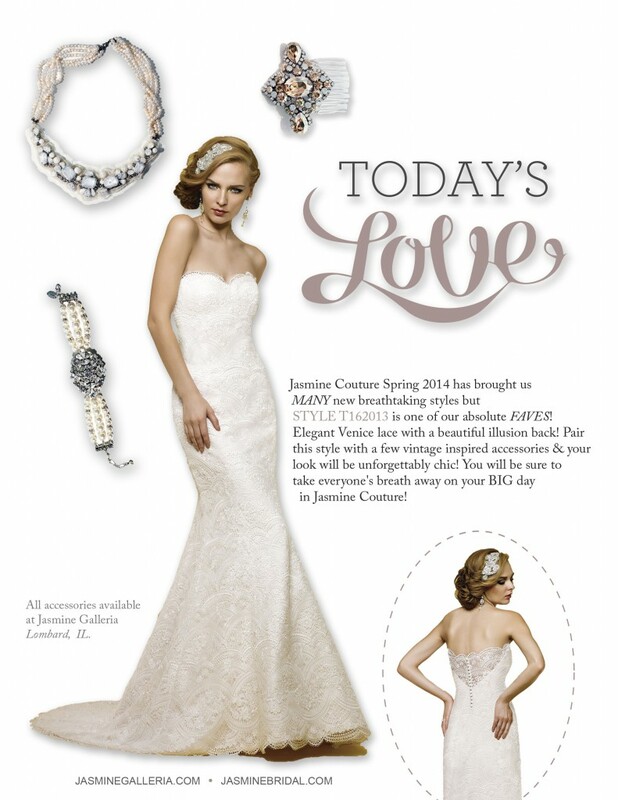 As soon as we caught eyes with style T162013, it was LOVE at first sight! Scallop, buttons, and lace- OH MY! This Jasmine Couture gown is very ‘of the moment;’ from the unique scalloped lace pattern, and classic shape of the mermaid skirt, to the unexpected illusion V-back- this gown is as gracious as it is grand! Check out our latest obsession & Today’s Love!